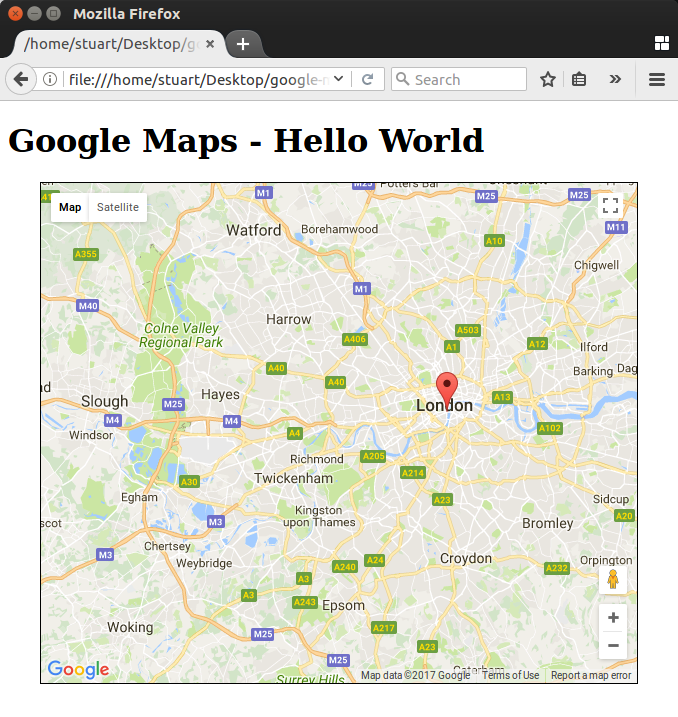 This tiny tutorial aims to get you started with putting google maps on your own sites. In this example, we will show you how to create a map that is centered on a point that you have put a marker on. In this case we are marking the location of Big Ben. Create a text file with the .html extension and copy/paste the following code into it before saving. If you were to double click that file now, you would see the map of big ben. Let me explain a few key points in that script. This uses the keywords async and defer. The async keyword means that the browser will fetch that script in the background whilst it continues to parse over the rest of the documnent. This results in your site saving time loading more quickly, especialy for people on slower internet connections. Normally, with the async keyword, the parser would start executing the script as soon as it had been fetched, however, we have the defer keyword as well. The defer keyword ensures that the script is run at the end after everything else has loaded. We need this becuause you will notice that a callback variable with the name of our function to initialze the map had been given to it. If the parser had stopped to load and then execute the script, then it would have failed because the callback would not have been defined yet. If we had just had just used async with no defer, there would have been a race-condition in which the page would only sometimes work because the script was executed after our callback function had been defined. If the script loading was fast enough then the call to initMap would fail. I have set the location I want to mark and center upon with bigBenLocation. If you want to set a different location, you can google things like "sydney lat long" to get the latitude and longitude of locations to swap out in this code. Just bear in mind that the results will say "north" and "south" as well as "east" and "west" instead of using negative values. North and east are positive, whilst south and west need to use a negative value. Hopefully the rest of the codebase is self-explanatory with how I broke it up.